Are you looking for a quiet and charming place to relax? 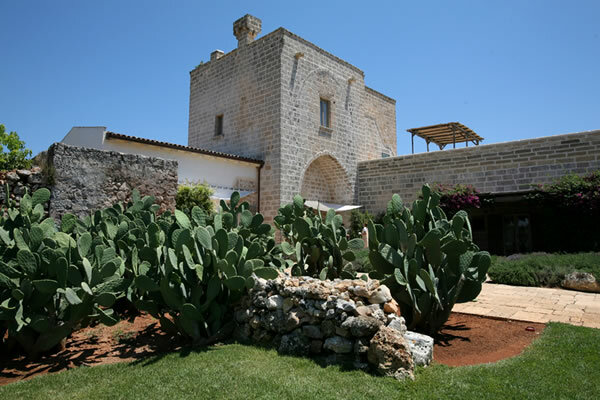 Do not miss out Masseria Don Cirillo! 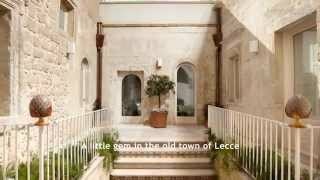 Located in the very heart of Salento region, Masseria Don Cirillo is a peaceful accommodation just 1,5 Km from the Ionic sea. Having a look around, you’ll be surprised by the flourishing nature: olive and fig trees, oak forests as well as the Mediterranean vegetation will surround you on a warm welcome. 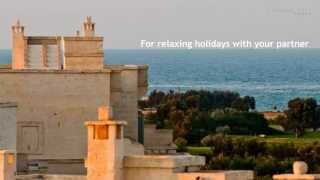 Indeed, the country is the perfect place for a relaxing holiday and Apulian country has much to offer. 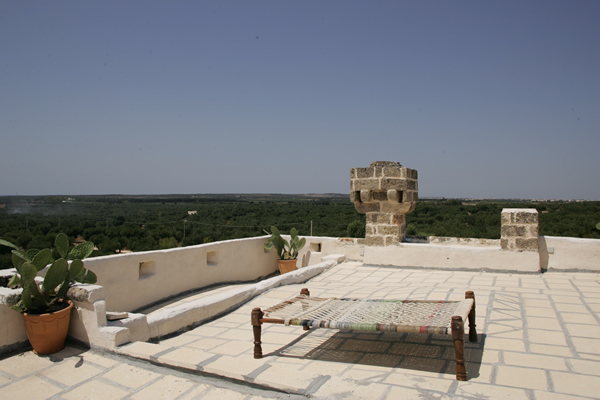 Masseria Don Cirillo finds in the beautiful Salento, “the heel of Italy” and offers you the chance to have a walk in the surroundings, to discover and explore both the wild country and the beaches of Ugento. White colour characterizes the whole building and is also the main colour of the rooms. 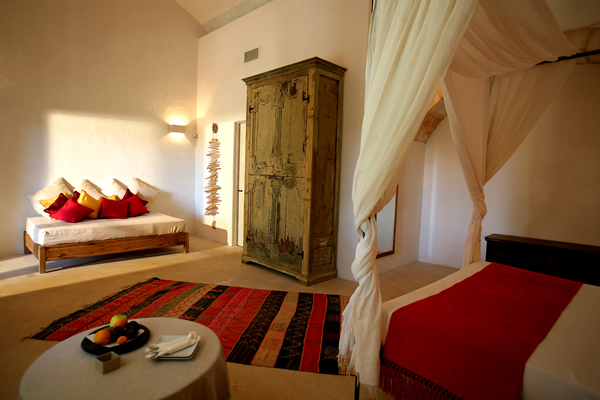 They’re simply equipped, with fine pieces of furniture showing the skills of the local craftsmen. 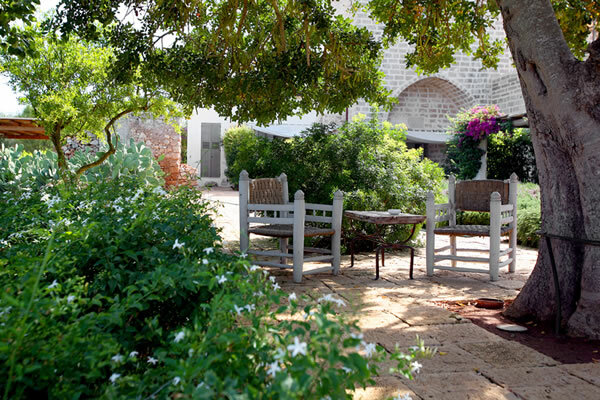 From the terrace or veranda of each room you could breathe the scents of rosemary, lavender, mint and thyme. You’ll have a direct and deep contact with nature, without any external factor disturbing you: even the phone in the room has been intentionally removed! The swimming pool set among the rocks is also a pleasant way to enjoy the silence of Masseria Don Cirillo, reading a good book and listening to the sounds of nature. If you want to explore the Ionian coast, what better way than renting a traditional fisherman wooden boat! The Gozzo is well equipped and can be rented both without staff on board and with a sailor.